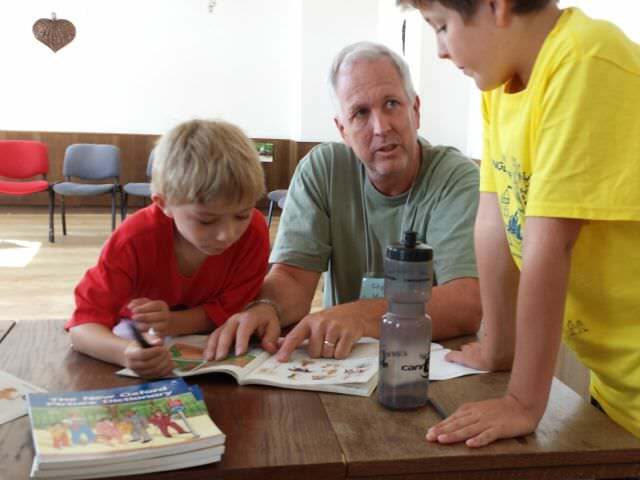 Home » Posts » Global STMs » English Camp (Czech Republic) » How Is English Camp Short-Term Missions? Where might one find himself having more gospel conversations with unbelievers, even professed atheists, in the course of one week than possibly the rest of the year combined? 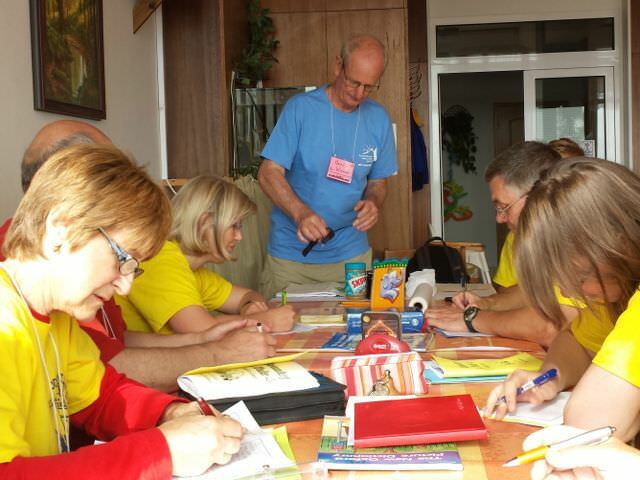 For me, that would describe my time here at the English Camp outreach, hosted by OPC affiliated missionaries Jerry and Marilyn Farnik in the Czech Republic. This year, I have the opportunity to report to you live from the Czech Republic. 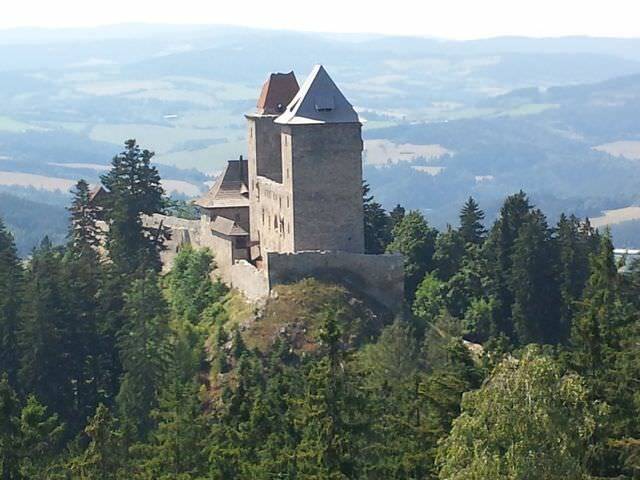 We are currently at a hotel built during the Soviet occupation era located in the beautiful Sumava mountain forests in the region of South Bohemia, about 150km (90 miles) south of the capital city of Prague, near the eastern border of Germany. This English Camp, open to believers and unbelievers alike, is so well run and so chock full of fun activities (skits, crafts, songs, sports, an American camp theme - this year it was "A Country Fair") while providing intensive English classes put on by native tongue American-English speakers, that the many Czech families come back year after year. Most of these families have some connection to the Farniks via their many avenues of ministry that they do as a diverse means of connecting with the Czechs. This year, a few of the ~125 attendees are Christians, most of them are not. And many of them might even describe themselves as atheists which is not entirely surprising since the Czech Republic has developed a reputation for being the most atheist country in Europe. Since they choose to come to this camp, advertised as a Christian camp, the campers ought not be surprised to find that woven throughout the morning English lessons and the evening speaker series are various presentations of the gospel shared with them by many who have given up vacation time and a significant travel expense to come share this time with them, a fact that is not lost on them. They are very appreciative, polite and enjoy the interactions we have with them. Since everyone has come to the camp to learn English, we are more than happy to provide English conversations with them in class, over meals, and in the various recreational activities that occur throughout the day and even into the late evening around the campfire. The three-hour English classes each day provide about one and a half hours of technical English training (grammar, idioms, phrasing, etc.) geared at the level of English that each camper has tested into and another one and a half hours of instruction centered around the use of literature and comprehension. Since this is a Christian English Camp, we unapologetically have chosen to use the Bible as the literature that we study. 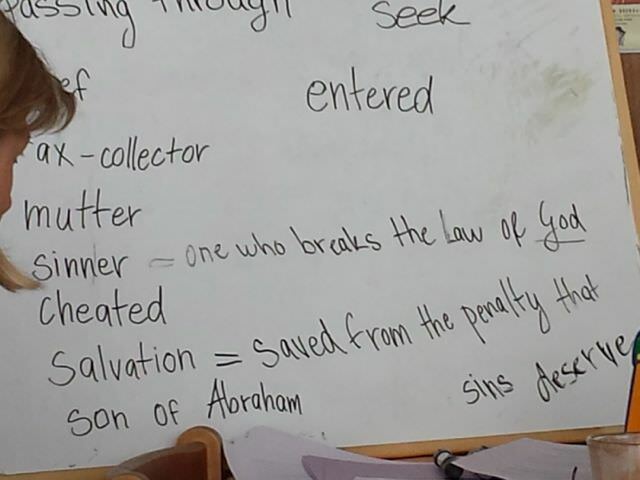 Taken from the Gospel of Luke, the historic story of Zacheaus and the parable of the Lost Sheep and Lost Coins have proven to provide the teachers many wonderful ways to ask probing questions and to challenge the unbelief in the hearts of many. 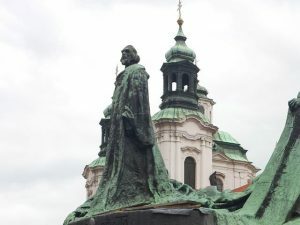 Admittedly, this can be at times awkward and difficult and can require boldness in its presentation, but empowered by prayer and reliance on the work of the Spirit, our teachers and their Czech translators venture boldly forward. This English Camp team is made up communicant members of the OPC. We are thankful to have 3 pastors, 4 ruling elders, and many other seasoned as well as younger Christians, all of whom are very committed to their Lord and have a burning desire to share that faith with our new friends here at English Camp. Rev. Roger Wagner, pastor of Bayview OPC in Chula Vista, CA, has been giving a series of evening talks about worldview, reason, science, and morality. While it is not required attendance, we have been encouraged to see anywhere from 30-50 adult Czechs in attendance at these well-thought-out and meaty messages. Of course, Pastor Wagner always concludes by pointing his listeners to Christ as the answer to all of life's questions. There may be those who have been tempted to think, "Going to Europe, even Prague, for ministry? Really, that just sounds like just a great vacation!" While it is true that this STM opportunity may afford the team brief opportunities to tour places such as the beautiful and historic city of Prague or to a centuries old castle (as we had were afforded the opportunity to do yesterday on the one "off day" of camp), its important to appreciate the fact that this team comes prepared to bring excellent lessons, crafts and recreations for the Czech campers. I spoke with one teacher who estimated that she invested at least 10 hours of preparation time into each of her 6 English lessons that she would be teaching. 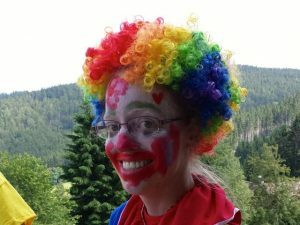 And the volume of work that the Farnik family puts into preparing this to be a memorable and worthwhile camp experience for the campers is incalculable. On top of that, it is expected that team members will be making the most of every opportunity to engage our Czech friends with probing questions pertaining to the material they are being taught. Those who would like to be a part of such a team as this ought not come for the recreations, but rather come prepared to pour their heart in the labor. English Camp presents a wonderful means for short-term missionaries to come and connect in a very personal way with non-native English speakers who enjoy and appreciate their interactions with foreigners, for the sake of learning English and getting to know our culture. This situation presents many wonderful occasions for the sowing and watering of the seeds of the gospel. Of course, the full-time missionaries are those who will be the ones to do the follow-up long-term, but English Camp can be a great launching pad from which their ministry can spring forward. 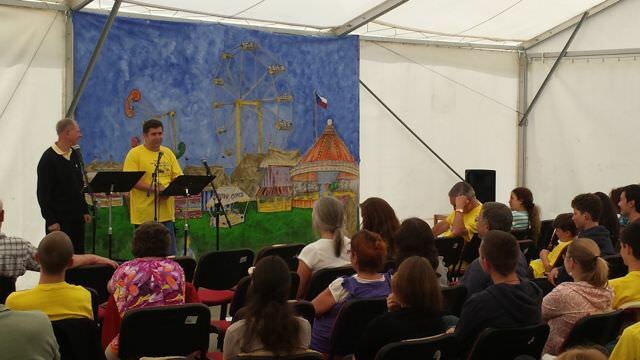 Please do pray for the Farniks, the Christian Czech team members, the OPC English Camp team and the believing campers. Pray that we would all grow in our faith and be further emboldened with the gospel message. And pray that those who are here, who continue in unbelief, would be saved through the power of the Holy Spirit.